This month’s art in Pinehurst Pocket Park is a celebration of the return of salmon to Thornton Creek for the first time in eight years. At this year’s Pinehurstfest, Thornton Creek Alliance had a table where kids could color hats made of two salmon. 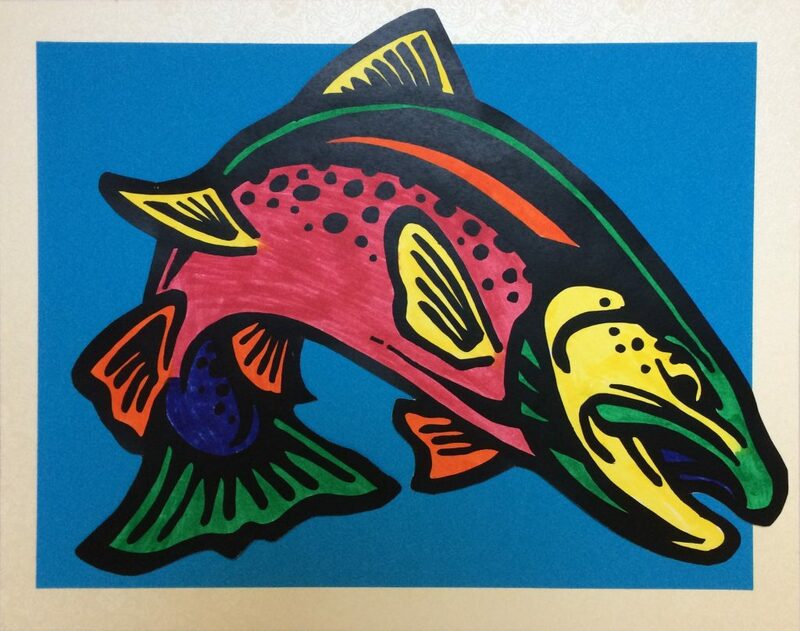 I unstapled a hat and colored one of the salmon for this art. It’s in the pocket park kiosk through December. The park is at NE 117th St & 19th Ave NE.